Thanks to a Korean Airen for uploading this fancam tonight! Seung Gi: Yes, thank you. After my debut, I’ve received many awards…this Best Welcome Award… just its name alone is enough to make one laugh out loud. I think it’s the first time I’ve ever received one. To start off, I’d like to give my sincere thanks. Before I express my thoughts about receiving this award, since this is my first time suddenly being in a place befitting celebrities, I ask for your understanding if my thoughts are not expressed coherently. My heart is beating so fast. I’m as nervous as if I had received news to re-enlist in the army. I imagined countless times what I should say about this award. But I couldn’t think of anything to say…because I didn’t do anything. (Audience bursts into amused laughter). All I did was successfully complete military service like every other male in South Korea. (Seung Gi is so humble as always) I thank you from the bottom of my heart for greeting me with this much interest and support. (Applause from the audience) It’s been a long time since I’ve stood in this kind of place. Watching singers’ stages that I used to watch as reruns on TV in the living quarters of the army camp made me realize that my job is an entertainer. I thank you. As for my future plans, I plan on diligently showing more to make up for the long time I spent in the army camp. I will work even harder to meet your expectations with a good project as much as you’ve shown interest and cheered for me. Please watch over me and cheer me on. Thank you. I will work diligently. Leeteuk: Lee Seung Gi-shi, I am curious about something. Including myself, many people asked why your military service was so long…isn’t that right everyone? So many people said these things. Did you also feel the same way? Lee Seung Gi: I have to answer the question before I get off the stage, right? Lee Seung Gi: I’m so nervous right now, I don’t know how to respond. Leeteuk: Yes, please speak comfortably. Lee Seung Gi: Well, I’ve heard there were rumors that Lee Seung Gi wasn’t going to be discharged from the army, he was going to be promoted to a higher rank, he was being dispatched..I heard there were various rumors. They’re all not true. I just..like any South Korean male…including yourself and just like everyone here who has completed their military service…I did the same and was discharged. As for those who felt my military service was particularly long, I thankfully think that people waited that much for me. Leeteuk: Yes, now we only have time to meet the awesome Lee Seung Gi. Singing, Acting, seriously, the one who is able to carry out diverse fields is you. While you were serving in the military, which did you miss more? The stage as a singer or the television as an actor? Also, there was variety, right? You also served as an MC as well, right? 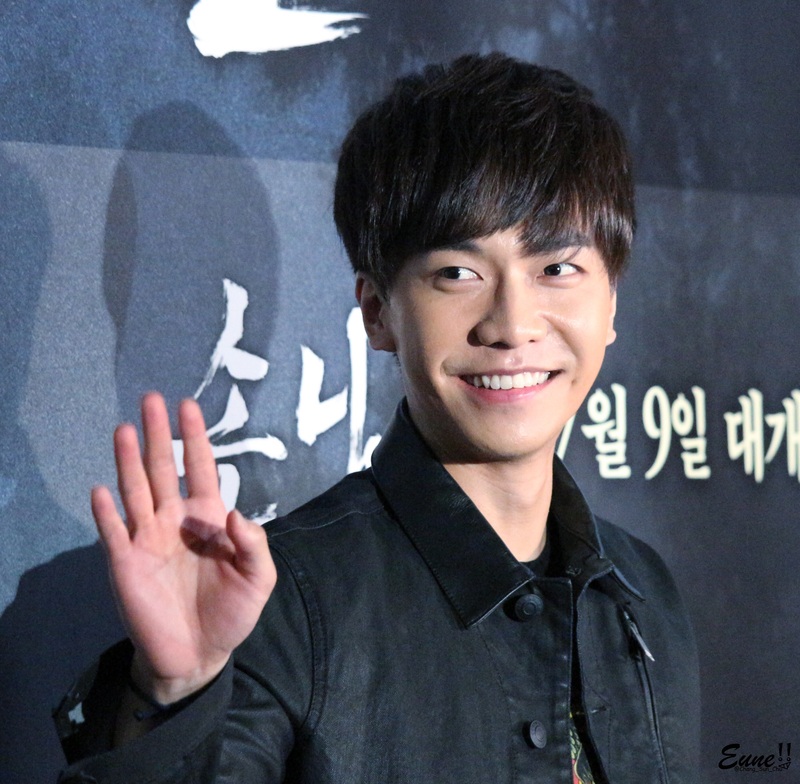 Lee Seung Gi: I liked watching others’ stages. It was really cool. I used to think a lot about what I should do when I come back. Now, instead of thinking about that, depending on the situation I’m given, I will diligently greet you whenever the opportunity arises through various projects….whether it be through variety or as a singer, as long as my stamina allows. Leeteuk: Yes, once again Lee Seung Gi-shi, now for the fans who are waiting really diligently…. Leeteuk: We will now wrap things up. Once again, fans who have waited for a long time, please give him a warm round of applause! 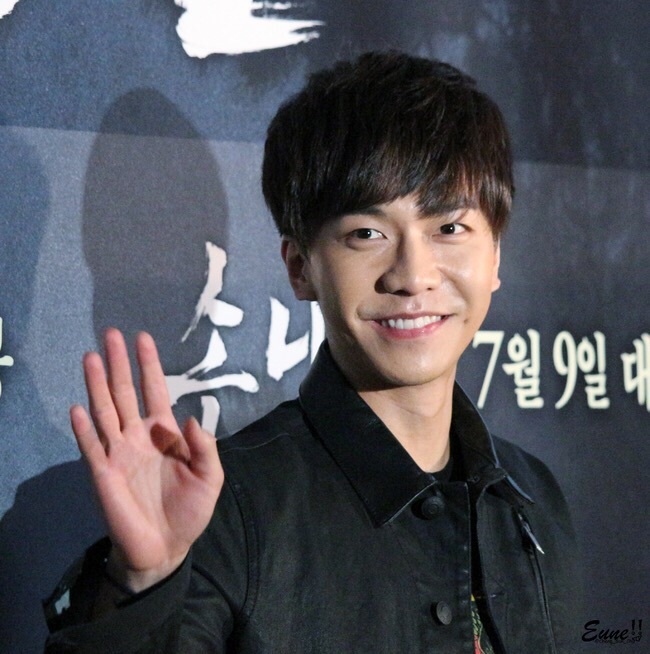 Now then, Lee Seung Gi-shi, congratulations once again. I also waited for you. I will look forward to your projects. Lee Tae Im: Yes, I saw press coverage declaring that you would make people sick and tired of seeing you. I hope you keep that promise. Categories: Awards ceremony, Fancam, Video | Tags: 2017AAA, AAA, Asia Artist Awards, fancam | Permalink. Categories: Event, Fancam, Movie, Video | Tags: dmsrl88, The Guest VIP Screening, The Guest VIP Screening fancam | Permalink. 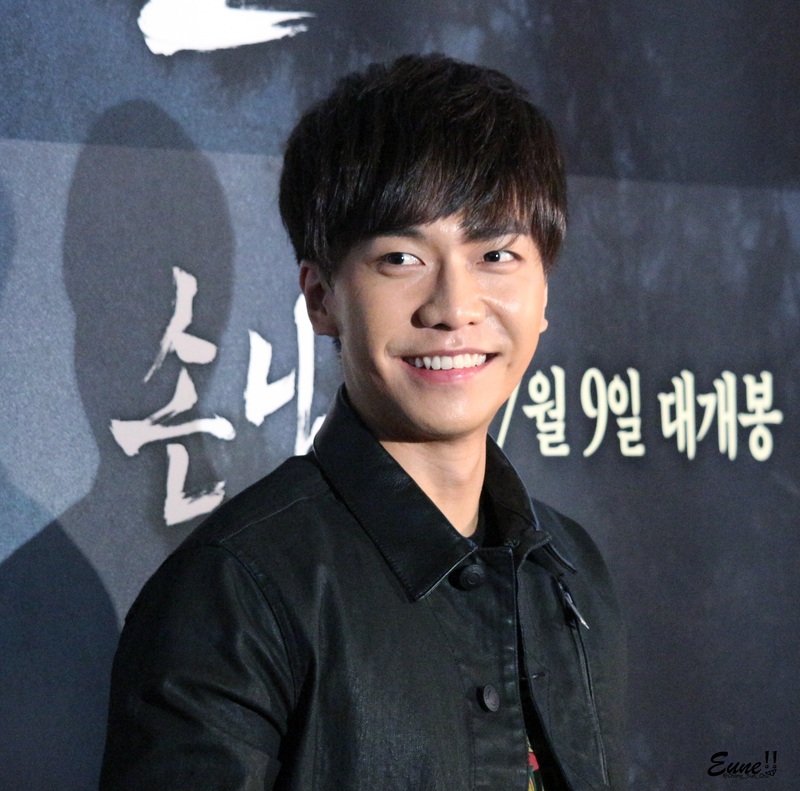 Categories: Event, Fancam, Movie, Video | Tags: fancams, 자극적승기, peony, The Guest VIP Screening | Permalink. Categories: dclsg, Event, fan account, Fancam, Movie, translation, Video | Tags: fan account, lsg 빛나다, qlcksms01, The Guest VIP Screening, The Guest VIP Screening fancams | Permalink. Categories: Event, Fancam, fanpic, Movie, Photos, translation, Video | Tags: fancam, fanpics, photos, The Guest VIP Screening, video | Permalink. Categories: Event, Fancam, Movie, Video | Tags: fancam, The Guest VIP Screening, video | Permalink.